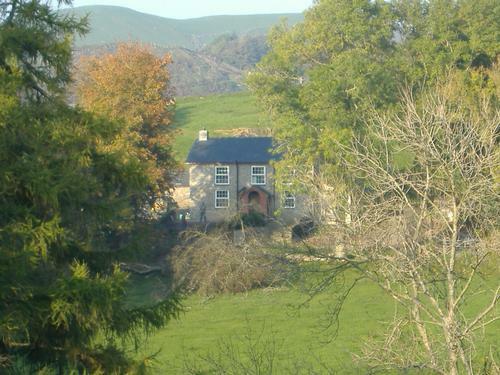 Three lovely cottages, each totally private and secluded, set on our organic farm, with magnificent views of the unspoilt beauty and tranquility of the surrounding countryside in the Dyfi valley. All are an ideal base for either walking, bird-watching or for just enjoying a really relaxing holiday. Walks can be taken direct from the cottages and cyclists are welcome. This charming 18th century cottage, which sleeps 6 people, has three bedrooms - a double,a twin and one with full-size bunks. There is a downstairs bathroom with bath/shower and an upstairs toilet and washbasin. Beds are made up for your arrival. We also supply towels. Heating is by storage heaters. All heating and lighting is included in price. A complimentary basket of logs is supplied. An impressive traditional stone farmhouse set in its own beautiful gardens overlooking our farmland. Parts of the house date back to the early 17th century, so there are plenty of oak beams as well period fireplaces and a large inglenook with a log burner. This lovely farmhouse which sleeps 7 has four spacious bedrooms, one with a luxurious king-size bed, two doubles and a single. There is a large family bathroom with bath and shower upstairs and a shower room with wash hand basin and toilet downstairs. From the main hall down a step you enter the spacious oak fitted kitchen with its dining area which has a lovely, welcoming oil-fired Aga, microwave and electric cooker as well as an excellent selection of the usual crockery and utensils. The pantry has a fridge and freezer and the washing-machine and tumble drier are in the separate utility. The kitchen opens to the lounge which has a woodburner in the inglenook, original bread oven is also in place. There is another large family lounge. Both have tv with Freeview and DVD Player. And yet another lounge - for reading. The main door leads to a large hall which provides access to two lounges, pantry, kitchen, upstairs. At the end it leads to the front door which opens into a small conservatory. A cosy and comfortable farmhouse set in the heart of our farm with amazing views over the surrounding area. 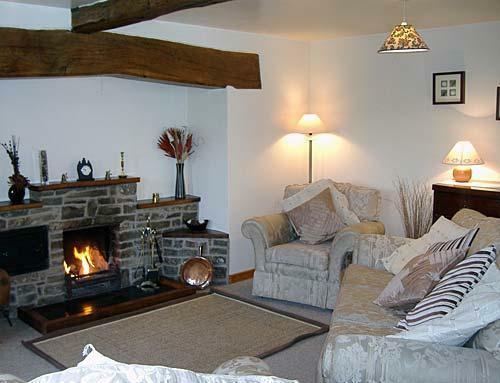 Sympathetically renovated, it retains all its original character with beams, pine doors and slate floors. 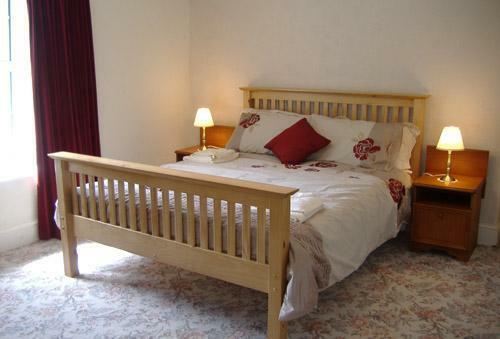 Upstairs there are 4 spacious bedrooms - 2 double bedrooms and 2 single bedrooms. There is also a family bathroom with a shower over the bath. 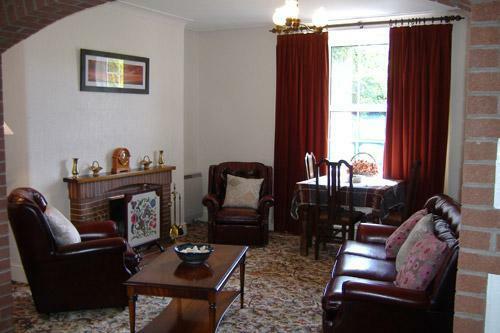 Downstairs there is a large, comfortable lounge with woodburner, a dining room/ lounge again with woodburner. Both have TV with Freeview/DVD player. The oak kitchen is well equipped with ceramic hob and built-in oven, a dishwasher and a fridge/freezer as well as an excellent selection of crockery and kitchen utensils. There is a lockable shed for your bicycle. 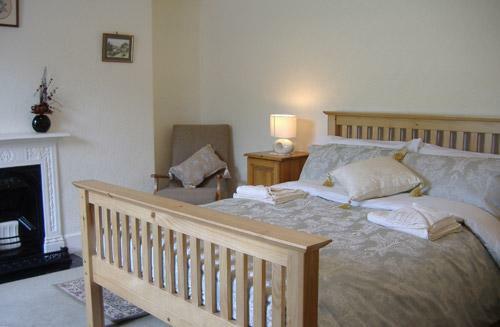 Beds are made up for your arrival and we also supply towels. There is gas central heating installed as well as 2 woodburners. Heating and lighting is included in the price. The lovely sandy beaches of Aberdyfi and Borth are nearby. 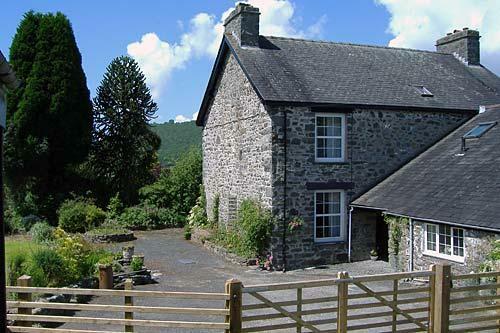 The Centre for Alternative Technology, RSPB Nature Reserve, Talyllyn Railway, Portmeirion, Cader Idris for mountain walking and the local leisure centre has excellent courses, and the local arts centre. 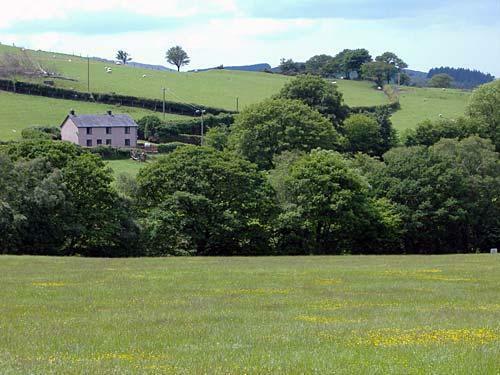 Near to Glyndwr's Way, ideally situated for walking and cycling. 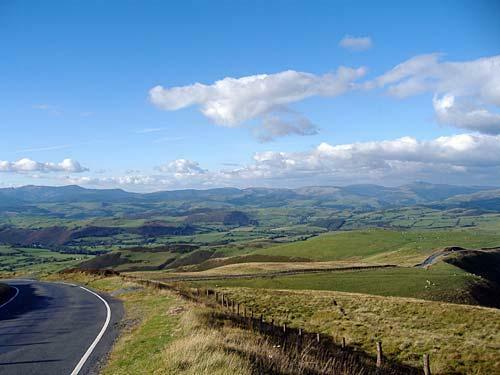 Hendreron and Llwynygronfa are situated on a National Cycling Route.